On 28 September 2016, the OECD Development Center in partnership with the Ministry of Grassroots Development, Crafts, Youth, and Youth Employment (MDBAJEJ), and the Delegation of the European Union (DEU) organized a workshop to review the first findings of the Youth Inclusion project. The opening ceremony of the workshop was attended by Mrs Victoire Tomégah-Dogbé, Minister of MDBAJEJ, Mrs Tchabinandi Kolani Yentchare, Minister of Social Action, Women's Development and Literacy, and Mr. Nicolas Berlanga Martinez, Ambassador and Head of the DUE. 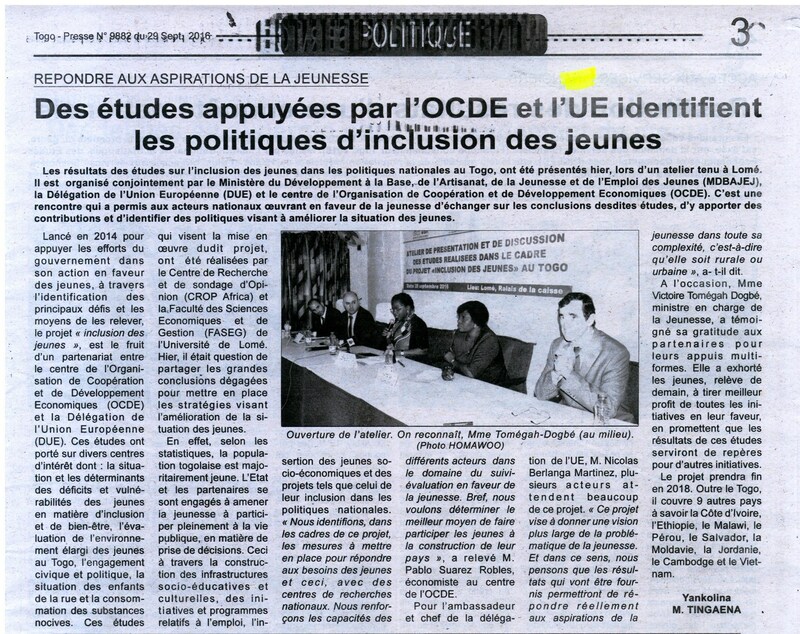 The objective of the workshop was to present and discuss the results of the studies on the inclusion and well-being of young people carried out in the framework of the Youth Inclusion project and in collaboration with the Faculty of Economics and Management (FASEG) of the University of Lomé and CROP Africa. 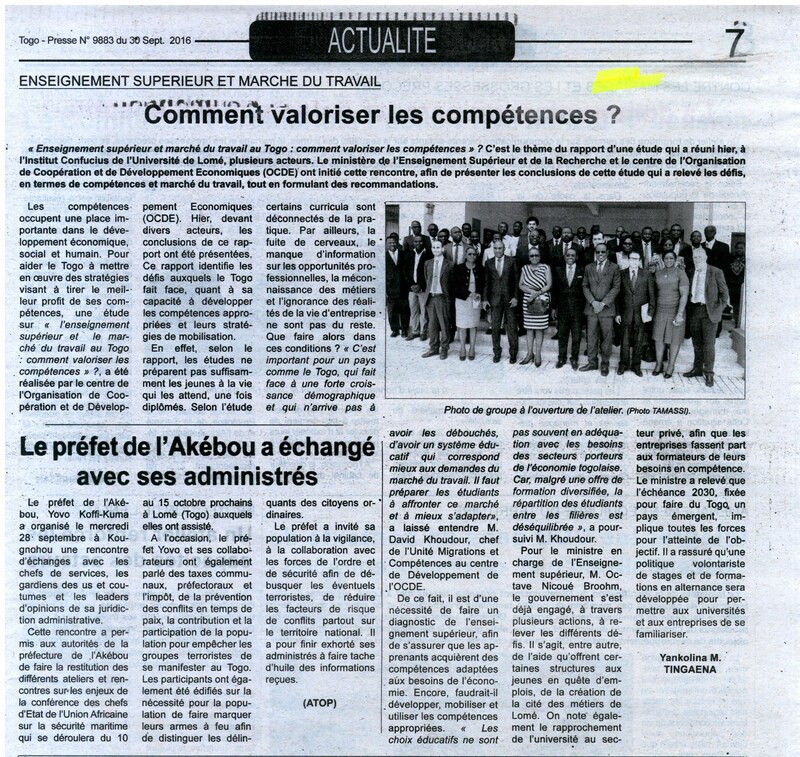 The constructive exchanges that took place during the workshop contributed to the country diagnosis. The final country diagnosis will be presented to the project's institutional partners - MDBAJEJ and DEU - and other stakeholders in 2017. The OECD Development Centre, in the framework of the project, also supports the Ministry through capacity building activities on monitoring and evaluation of youth programmes and policies.